A man who defied a court restraining order just one day after it was imposed has been sent to prison according to a court document. 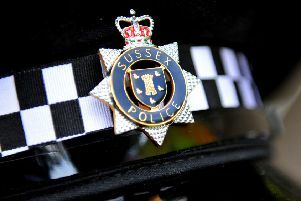 Clive Griffiths, 25, of Chiltern Drive, Hastings, indicated a plea of guilty to being in breach of a court restraining order by attending an address and sending messages. He pleaded guilty to being in breach of a suspended sentence, made by an earlier court, for assault by beating. He was jailed for 16 weeks. Magistrates said ‘the reason for the sentence was that messages were sent within one day of the restraining order being imposed’.